Given that the suns of Draco stretch almost 16 light-years from end to end, it stands to reason that the cost of transportation is the most important factor driving the 32nd century. And since Illyrion is the element most needed for space travel, Lorq von Ray is plenty willing to fly through the core of a recently imploded sun in order to obtain seven tons of it. 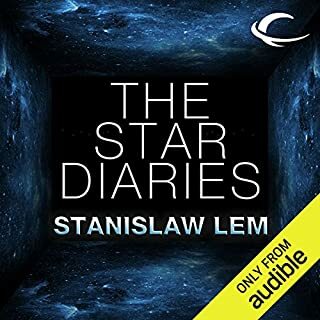 This fine, new, direct-to-English translation of Solaris allows listeners a new opportunity to marvel at the way Stanisław Lem managed to pack so much into such a compact story. As well as being a gripping sci-fi mystery, his novel stands as a profound meditation on the limitations of knowledge and the impossibility of love, of truly knowing another: how a vast, cold galaxy can exist between two people. In how many relationships does the other turn out to be a projected hologram? At the book's heart is the dark and mysterious planet of Solaris: working out what it means is half the fun of the book. One thing is clear: the possibility it offers of alien contact represents "the hope for redemption", a Schopenhauerian longing to be rid of the endless cycle of want, need, and loss. In one passage, the main character notes with a touch of envy that, "automats that do not share mankind's original sin, and are so innocent that they carry out any command, to the point of destroying themselves". The motivating forces that have traditionally sustained mankind - love, relationships, belonging - are exposed as so much space debris. In a book that contains one of the most tragic love stories in modern literature, the idea of a love more powerful than death is "a lie, not ridiculous but futile". 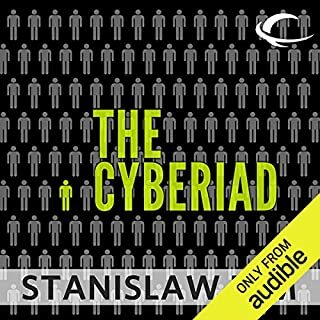 At last, one of the world’s greatest works of science fiction is available - just as author Stanislaw Lem intended it. 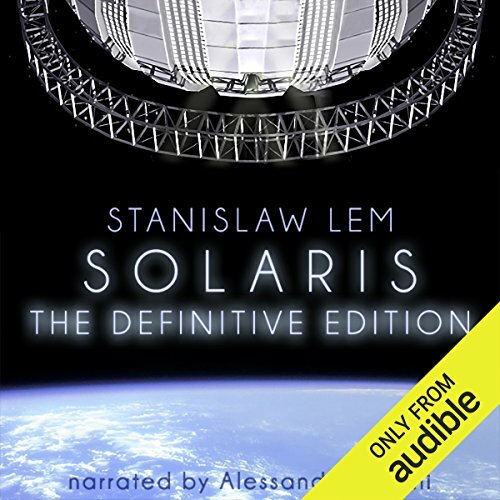 To mark the 50th anniversary of the publication of Solaris, Audible, in cooperation with the Lem Estate, has commissioned a brand-new translation - complete for the first time, and the first ever directly from the original Polish to English. Beautifully narrated by Alessandro Juliani (Battlestar Galactica), Lem’s provocative novel comes alive for a new generation. In Solaris, Kris Kelvin arrives on an orbiting research station to study the remarkable ocean that covers the planet’s surface. But his fellow scientists appear to be losing their grip on reality, plagued by physical manifestations of their repressed memories. When Kelvin’s long-dead wife suddenly reappears, he is forced to confront the pain of his past - while living a future that never was. Can Kelvin unlock the mystery of Solaris? Does he even want to? ©1961 Stanislaw Lem. 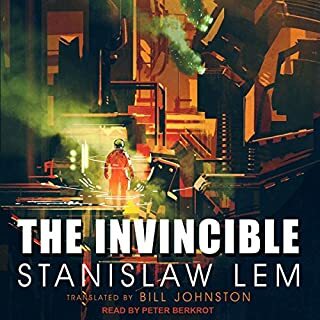 Translation © 2011 by Barbara and Tomasz Lem (P)2011 Audible, Inc. I tend to read reviews before I buy a book if it's something I'm not sure about. I've been wanting to read Solaris for ages, so I didn't bother with reviews when this became available. If I had read the reviews, I might have skipped it. While many are positive, there are also a number of negative reviews with some pretty consistent criticisms. In response that there are long periods of technical description that serve no purpose to the story: I can understand where that sentiment is coming from, but I think these sections are necessary and serve the story in the following ways. For one, they perpetuate the mystery of the planet. Whenever this would happen, I would try to imagine what they were describing. If you've ever stared out at the ocean in awe of the size and mystery of it, this is the type of feeling these sections evoke. It also acts as foreshadowing. The first part that describes the unique properties of Solaris also sets the stage for the paranoia and strange encounters the main character deals with when he first lands on the station. The following descriptions of strange phenomona on the planet hint at the bizarre circumstances on the station, etc. It's subtle, but for me it definitely shaped the way I thought about what was happening in the story. If it wasn't there, one might think this was a ghost story, or a hallucination. In response to the criticism that the characters do not react realistically, or like scientists: While this is true at times, I think the reviewers are dismissing the environment that these people are in. Like I mentioned above, the characters are experiencing such bizarre events that the first thoughts one might have are that they are hallucinating or dreaming. Two characters have been living like that, the other is suddenly thrust into it. I don't think it's fair to criticize their reactions as being unrealistic when what they are experiencing is irrational. Also, I wish I could give 6 stars to the narrator, Alessando Juliani. He gave a magnificent performance, especially with the wife, Harey. I'm always nervous when male narrators attempt female voices, but this was done masterfully. This story is about humans trying to interact with something that is so utterly alien that we can't even understand how it exists. It's about relationships, specifically the complicated one between Kelvin and his wife, but also between humanity and Solaris. Can you even assign motives to such a being? Is it even alive? I was genuinely surprised by the finesse and emotional depth of this book. I was also frequently swept up in the majesty and fear of the living ocean as described in the book. It was a truly unique experience, and a real treat to listen to. If any of this sounds interesting to you, I can't recommend this book highly enough. I watched the film adaptation with George Clooney a few years ago, but wasn’t overly impressed. I probably would have skipped the book, but Luke at the Science Fiction Book Review Podcast recently convinced me it was worth reading (listening to), and I’m glad I did. Forget the movie -- the original novel has more dimensions and more subtlety. It’s a work of science fiction at its most cerebral, full of challenging questions about the nature of higher order beings, mind, consciousness, morality, and meaning. Compared to Lem’s vision, most novels about contact with aliens are downright pedestrian. Here, the “living ocean” that covers the world called Solaris is entirely incomprehensible, despite years of study by scientists. All anyone really knows about it is that it’s beyond human understanding, and defies all human expectations of how an advanced being might behave. Is it a conscious creature? A physical process too complex to understand? Something godlike? Lem leads us into these questions through the planet’s interactions with a scientist who travels to a research station there. Not long after arrival, he finds himself haunted by an apparition of his dead wife, who seems to have been generated from his own memories, and understands little about herself (the gender dynamics are a bit dated, but whatever). Is she human? Alien? A conscious attempt at contact by Solaris, or an unconscious projection of the scientist’s own psyche? The plot has a sparsity that puts the primary focus on the protagonist’s inner voice. There are other characters on the station, but they spend a lot of time withdrawn into dealing with their own apparitions, and are present in the story only enough to suggest actions and add a layer of madness (and/or clarity) to Kelvin's psychological drama. In fact, we learn more about the physics of the weird structures that form out of the ocean than we do about these companions (though I found that part strangely fascinating). I can see why this book has remained so influential -- it explores some profound questions at a depth few other science fiction writers have come close to, even fifty years later. Lem leaves his answers tantalizingly ambiguous, allowing readers to find their own subtexts. Depending on how you read it, this could be a work about the idea of contact with aliens, or it could be about contact with others, period. It could be about guilt and regret. It could be about existential loneliness, man’s search for God, or the limitations of our ability to understand the universe, or even ourselves. There are many intertwining themes. Obviously, a novel this philosophical isn’t for everyone, but if you appreciate science fiction that gets you to ponder, it’s not a long read, and I think it’s worth your time. The “definitive” audiobook production is excellent. The actor Alessandro Juliani, who played Lt. Gaeta in the most recent Battlestar Galactica series, has a soft-spoken but firm voice that suits the text very well. If one could rate Lem's descriptions of the planet Solaris and its ocean as stylistic invention, I would have to give the author 5 stars. In Snuff, one of Terry Pratchett’s characters asks another who we presume is Jane Austen (personification) how she could be “a successful author if all the words in the language have already been invented and only their order could be different.” Well, that is kind of the magic of good writing isn’t it? Lem concocts words from those that are familiar but that is not his magic. It is how he strings these inventions into the strings of narrative and description that add a vision to and beauty of a story that I found hard to compare to anything that I have recently read or listened to. I love science fiction. It is certainly in my top three favorite genres. I probably read more SF/fantasy than any other. However, I always feel the need to fall back to the classics of literature for a fix of human depth, love and relationships, three ingredients that seem to be less than fully satisfying in SF. They were not lacking in Solaris. For some readers, these might have been for them a central focus. If the book was at all character-driven, for me, it would have to have been for as much the character of the human protagonist as it was for that of the alien. And what is so incredible, we know almost nothing about this indescribable alien except for how it manifests itself in the form of the protagonist's deceased wife. The relationship between the protagonist and his deceased wife/alien-embodiment is beautifully and tenderly rendered. The relationship is a fluid one. In the beginning it is one so adversarial our hero tries to kill her embodiment and later he is willing to die for her [sic]. Both the descriptions and narrative could be tumultuous and serene at the same time. It is this fluidity, including if not especially of that of the changes in the ocean of the planet, that continually adds interest, suspense and mystery to the story. It has been a long time since I have really cared about a character in a book. In fact, it was years ago when I almost stopped reading beyond the first book of the Game of Thrones because all the good characters kept getting killed off and it was downright depressing. How astonishing that I cared at least as much for the alien of Solaris as I did for its hero. The story is as much a thrilling ghost story and gripping psychological drama as it is science fiction. One need not be a nerdy lover of SF to appreciate Solaris. The book is hauntingly elegant and intelligently written by any standard. It is the story of love, love lost and remorse. It is an exploration of our humanity and the failure at times to find it. The dialogue was totally credible and, with its sense of time and place, made the story that much more believable. Lem’s descriptions totally transported me to the quiet and loneliness of the orbit above Solaris and its sentient ocean below. While its emotive range never really conjured up much in the way of wit or humor, the story plumed the depths of my soul for almost every other emotion. This is not a story fraught with gratuitous violence and excitement for the sake of what sells many books. And yet, the story is exciting from the very beginning. I did not want it to end. While one was left with more questions than answers, the ending was most satisfying. In fact, it was perfect. This story is half a century old and still, it not only holds up well in contemporary SF, it stands up head and shoulders above much of what is written today in any fictional genre. This is a masterpiece. I could not recommend a book more highly. I just never realized that anyone else thought so. I have read the original, bad translation two or three times, have seen the original movie about five times, and the "has little to do with the book or original movie" remake more times than I'd like to admit (one). It is outstanding that a new read and translation has been done. 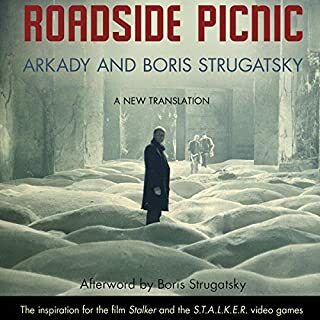 Listened to an hour so far; love both the translation and the narrator. Thank you, Audible, for bringing this one to us. A great story, well read. This was my First Contact with Lem Stanislaw. No long slow introductions, just docking to the Station and we are in. Good writing.. The story jumps right in with a puzzle and ends with another question. It is not so much the technical toys but more the assumptions of science, human rationalism, human response to the wonder of discovery and a person's darkest fears/doubts that comes under scrutiny.It keeps this story as fresh as tomorrow. Thanks Audible and previous reviewers. Transit of Solaris: a SF Mimoid on a Grand Scale! I'm kinda giddy about both starting and finishing this on June 5, 2012 (Transit of Venus). I figure if I can measure how long it takes me to read this novel in English and French and Polish, I might be able to figure out the exact distance from Solaris to my Brain. Obviously, this is not science fiction meant to be read by teens, waiting for the next evolution of the Twilight series or Fablehaven or whatever teenagers read now. This is Big Mamma Science Fiction dealing with big issues using philosophy and poetry to communicate both the strangeness of mankind and the gentle waves of the Universe. Being a translation, the reader (or listener) is only able to capture an incomplete shadow of Lem's original text. However, if the shadow is any indication, the height of Solaris in Polish must have been a mimoid on a grand scale. I had not read any Lem before, and had to use some Audible credits. This came up as a "classic" in SF and so I gave it a shot. Wow. What a brilliant story. I'll have to get the written version now and go through it again, it was that good. As far as the audio book goes, the narration was quite good, but not as excellent as some of the other books I have heard through Audible. My biggest annoyance was with the narrator's attempt at a female voice. If I actually read the book, it will be hard for me to get that depiction of Harey out of my head. But otherwise this was a very entertaining listen. I've heard of Stanislaw Lem but never read his work until now. Solaris is 50 years old but could have been written last summer. With the exception of some basic terminology, it's just as fresh as anything written by my other favorites, Robert Charles Wilson and Peter F. Hamilton. Wow! Wow! and Wow! Brainy stuff for thinking people. Shout out to Alessandro! : BSG rocked the world, my friend!-- Thanks for some all too rare great television. You read the book very well, especially Snaut. Here's hoping for more Audible gigs. I was intrigued by this book and the movie versions, but had not made the jump until it came up here. I was not disappointed. This is a beautifully written and intelligent story. I was drawn in right from the beginning. The narration is outstanding - although it is really a performance - it is more like a wonderful radio play. The story does end somewhat abruptly without a neat resolution - that is the intent - the story is thought provoking. I loved it, although it is also disturbing in parts. I agree with the reviewer who said it could have been written last week, apart from minor issues. These do not detract from the story at all. This book will be read for many, many years to come. It is a classic. This is Audible at its absolute best. This story will not be for everyone, but it deserves a very wide audience. Highly recommended. Every audio book is an interpretation of the text, so it must be a daunting exercise to embark upon the production of a classic. This is certainly a classic and Alessandro Juliani's is a fine interpretation of its haunting and equivocal messages. I enjoyed the pace of his reading, as well as his tone. His Harey and Snout are both excellent, not how I had previously read them, and yet completely valid. As for the plot, it is one of those that can be debated ad nauseum and often is at both Secondary and Tertiary levels. Is Kris Kelvin imagining Harey, a past tragic lover? Are the rest of the crew of the space station deluded or delusional? Is Solaris truly alive? What other secrets does Dr Snout have? Does any of it matter if Solaris is alive? The questions are posed and not always answered in this complex, poetic, si-fi classic. If you like si-fi that makes you think (like "Blade Runner", or "Foundation", or "Eon") I suspect this translation and production will appeal to you for all the right reasons. Sorry folks. I must be going through a 'purple patch' in terms of my fortunate choice of audio novels. I've not seen the films but no need because this novel paints a vivid and vast techo(colour) canvas. Where have I been all these years not knowing this exceptional writer? Had to listen to some excerpts 4 or more times to get the full meaning, but so much the better (value)! If there is just 1 sci-fi book - GET THIS!!! Solaris is - as its reputation indicates - an introspective work. It's first and foremost a contemplation of the futility of any human attempt to communicate with a truly alien being. Most of the meat of the narrative is protagonist Dr Kris Kelvin's relationship with his own desires and personal history, set against the backdrop of a research station on an impossibly alien world. Narrator Alessandro Juliani does a good job of portraying Kelvin and his fellow scientists, but the book is seriously let down by his depiction of Harey, a woman from Kelvin's past who appears on the research station without explanation, and whose presence only leads to deeper mysteries. The very quiet and unbearably whining voice Juliani gives her was something I found increasingly annoying as the book went on, and it had a negative impact on my enjoyment of the novel, detracting from Harey's complex characterisation. Translator Bill Johnston has done an outstanding job. He's avoided the problems and changes to the Polish original found in older English editions of the text, which Lem was very critical of. Johnston has in the process also avoided an instance of unnecessarily racist language which appears in the mediocre Kilmartin/Cox translation, but has done so without compromising Lem's harsh characterisation of Kelvin and his fellow scientists, their prejudices and the pettiness of their desires. Solaris is one of the pillars of the SF canon, and this translation makes for an excellent edition, if you can just get past Harey's voice. Not my usual genre, this book is a brilliant story about a strange planet with red and blue moons where mysterious things happen. There is much science detail within but this audible version allowed me to gloss somewhat over these bits and focus on the main story. This is truly a fantastic production and brilliant narration of what I understood to be a pretty difficult read. I would thoroughly recommend the audible version of this novel. I have listen to it a lot of times now and it seems to get better every time. I have often wondered at science fiction worlds in which all the alien species have differences but manage to easily communicate and find meaningful common ground and language. This is one of those truly great science fiction novels who's purpose is to ask real, interesting questions about alien life. From the first step of determining if the alien is living, through to determining it's sentience to attempting contact, the book poses thought provoking questions while simultaneously maintaining a quite gripping plot. The narration is perfectly suited to the tale and drives the story forward with excellent characterisation. A sci - fi classic. 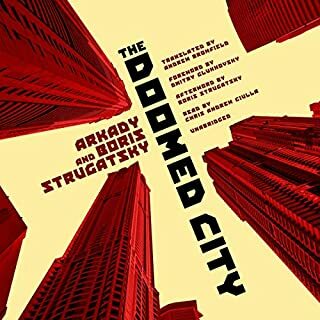 I was curious about the book after seeing Tarkovsky's adaptation and reading about Stanislav Lem. I thought I might give it a try even though I was not a big fan of science fiction at the time. This book has certainly changed my view of the genre. 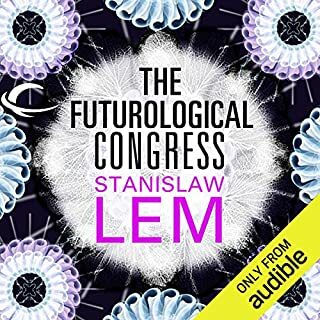 It is beautiful and strange, the performance really brings it alive and I found myself taking detours on my walk home from work to finish whole chapters.I look forward to enjoying it again later and hopefully other works of Stanislav Lem as well. I struggled with reading this for my book club (even though I was familiar with the excellent film adaptation from a few years ago). So despite already owning an earlier edition as a book, I wanted to see if it worked any better on the new audible version. It does. It is still a flawed and dated book, but the new translation is exremely well rendered by Alessandro Juliani and may well deserve it's claim to be the definitive edition. It is heavy going but rewarding. Despite what synopsis and internet reviews may say this is not a story about humans and their interrelationships. It is a story about a group of scientisits observing an alien planet that defies time and human understanding. There is a lot of exposition tracing the history of Solaris which is, honestly, brilliantly imagined. The characters are portrayed magnificently by the narrator which is some of the best voice acting on Audible to date. This is not a book to put on and switch off to, it required concentration to fully appreciate and understand the plot. Hard work but rewarding if you focus. Solaris is timeless, a beautifully written, expertly translated, thoughtful exploration into the human condition. I thoroughly enjoyed it. I was amazed how hooked I was by the plot considering this is set in a small space with a few characters. Several times I had to stop and reflect on the chapter I just listened to in order to fully appreciate what was written there. If you want to have your notions of love, consciousness and reality picked up and shook, then get this book. All with a fantastic atmosphere and suspense that keeps you thinking and guessing in the background. Plus a good dollop of science. Alessandro Juliani does a sterling job of narration, pace and character interpretation. Well recommended to all sci-fi fans and anyone that loves a good think! I struggled to follow this story, where it started and where was the finish..